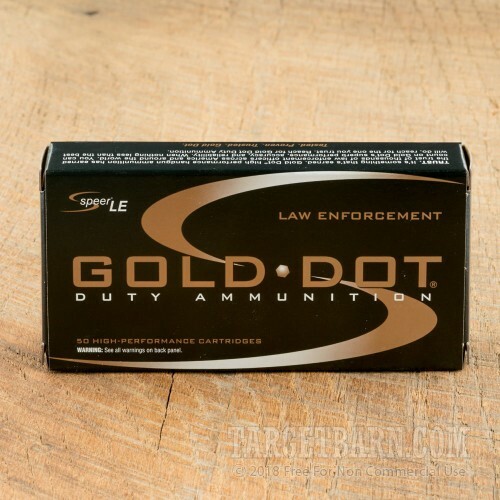 Designed specifically for law enforcement personnel, Speer Gold Dot ammunition has a reputation for excellent barrier penetration and reliable terminal performance. 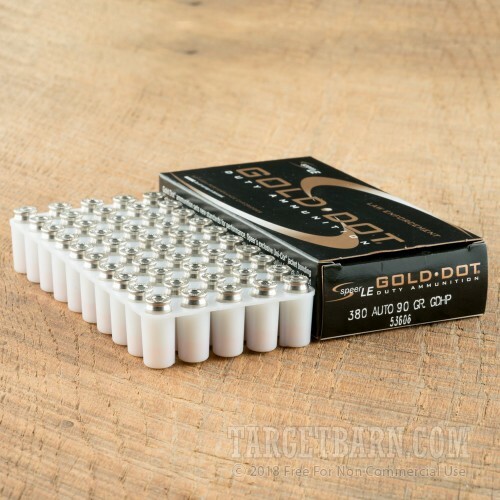 Also, a great option for civilian personal defense, Speer Gold Dot delivers powerful, dependable, and accurate performance with every round fired. 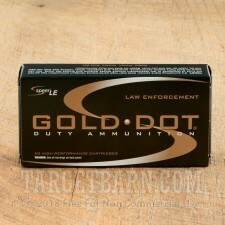 Perfect for stocking up, this package contains 1000 rounds of Speer Gold Dot Law Enforcement 380 ACP ammo. 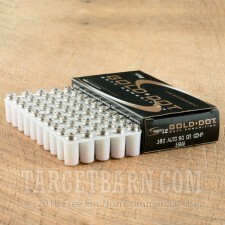 Each round features a 90 grain Gold Dot bonded core projectile. By bonding the projectile jacket to the lead core, core-jacket separation is virtually eliminated. 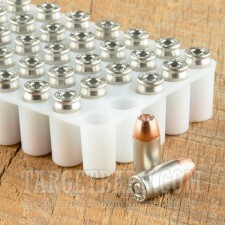 The result is maximum weight retention and increased barrier penetration when compared to traditional hollow point bullets. These rounds deliver great performance through tough FBI ballistic tests, especially in mass retention and auto glass penetration. This new production ammunition is boxer primed, non-corrosive, and reloadable. 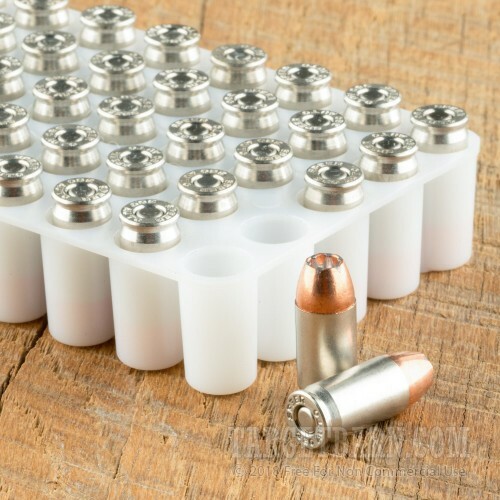 Each round is loaded in a nickel-plated brass casing and delivers a consistent muzzle velocity of 990 feet per second and 196 foot pounds of threat-stopping energy.